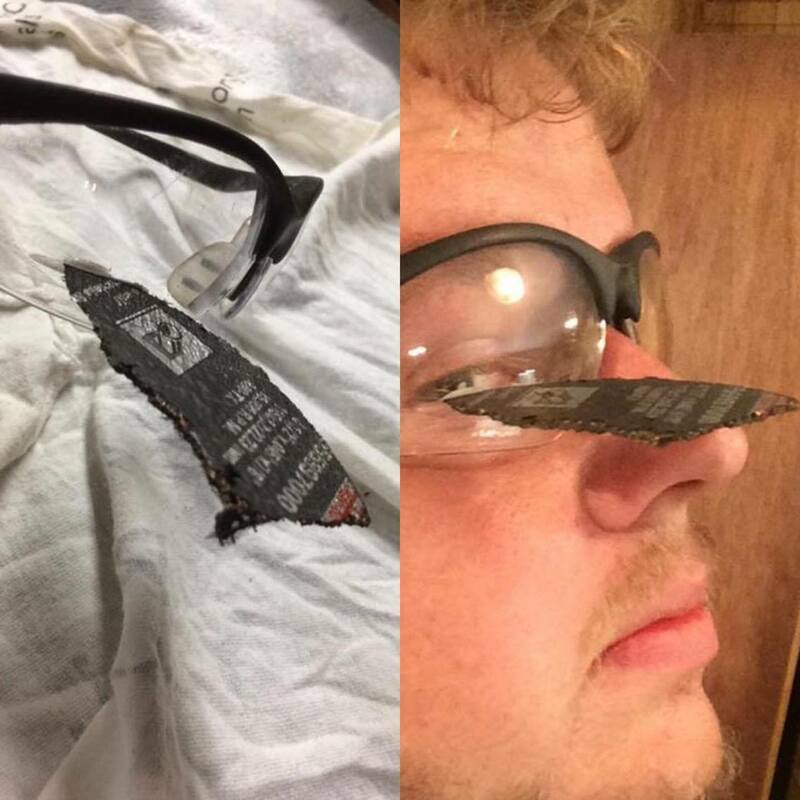 When most people think of safety glasses, usually only one or two images come to mind. Perhaps you only think of people who weld or work in laboratories as needing safety glasses or only people who work in manufacturing or construction. 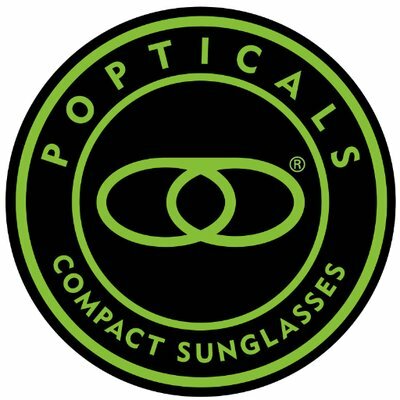 The fact of the matter is that dozens of jobs have eye protection requirements and safety glasses are important for all of them. Even doctors sometimes need to wear safety glasses, but not for the same reason that carpenters do. It’s important to understand what safety glasses can protect you from so that you can choose the right set when it comes time to order a pair of prescription safety glasses for everyday use at home or work. While you can use safety glasses for all sorts of things, here are the top eight things safety glasses can protect you from if worn under the correct circumstances. The most common reason to wear safety glasses is to protect your eyes from flying projectiles. 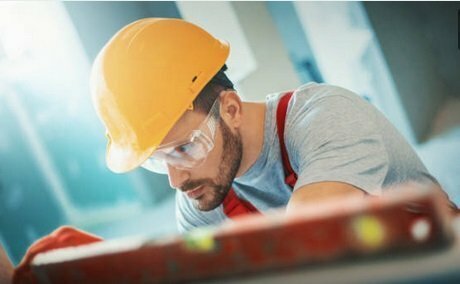 Almost any kind of building or manufacturing job may require you to put on safety glasses so that small particles of metal and construction materials don’t fly in while you work. Grinding, sanding, wood chipping, sandblasting, and power washing are all great examples of activities that throw a lot of sharp, dangerous grit into the air that you don’t want getting into your eyes. Of course, tiny sharp particles moving at high velocity aren’t the only danger to your eyes and reason to wear protection against flying objects. Bigger things have been known to go flying as well. Your angle grinder could break, for instance, sending a shard of jagged metal careening toward your eye or a screw could suddenly release from a tension hold and pop into the air. The sturdy plastic of your safety glasses in these situations becomes vital to avoiding a maiming or blinding incident. While projectiles are certainly dangerous, never underestimate the risk of items that swing through the air even if they are anchored to a machine or a person holding them. Like the classic 3 stooges joke with the plank, in a busy work environment, there’s always a possibility that some machine or tool will swing away from its intended target and toward your face. Anytime you’re dealing with long materials like boards or even just large wrenches, this becomes a potential danger and hinged tools are particularly hazardous as they might swing in an unexpected way. Even working on doors can become a danger if you’re not careful. Paired with a hard hat or helmet, safety glasses can keep you safe from random and unpredictable swinging hazards as well as free-flying ones. On a complete turn-around, let’s talk about chemicals for a moment. We’re all familiar with the ones that end up in our home like ammonia, bleach, rubbing alcohol, and acetone (nail polish remover) and you know better than to get any of these in your eyes. However, the chemicals you might work with at your job could be much more dangerous even than household bleach. A single splash in the eye could risk eye damage and extensive exposure could potentially result in blinding. This is why chemists and other professions that work with chemicals always wear special eye protection. Rather than just blocking projectiles and equipment, chemical protection requires something a little more like the goggles-shape so that the area all the way around the eye is splash-protected. So we’ve covered how physical objects and substances can put your eyes in danger, but what about visible light? Welding and even grinding can produce an incredible amount of intensely bright light that can actually burn out your retinas if looked at directly. Fortunately, there are safety glasses for this purpose as well. While you may or may not still need the impact shielding from flying particles, to protect from intense light your safety glasses will need to be darkly tinted. This will block the majority of the light from getting through so that the brightness from welding or grinding doesn’t fully reach your eyes. Many people who get prescription welding glasses get interchangeable lenses so that they can use untinted safety glasses for most activities and only use the tint when it comes time to weld again. For all the marvelous things we’ve figured out what to do with radiation, someone has to work with the stuff in order to continue production and progress. If you work near something that is even a little bit radioactive or even spend a lot of time in the sun, you will want radiation protection built into your safety glasses. While radiation eye damage may not be immediately apparent, extended exposure significantly increases your likelihood of developing cataracts. Fortunately, there are several types of plastic that have been developed in the last few decades capable of repelling radiation so a good set of radiation safety glasses should keep your eyes nice and clear. Smaller than anything the eye can see, bloodborne pathogens are one of the most dangerous of all occupational hazards. Doctors, nurses, and other medical professionals are advised to be extremely careful when dealing with someone else’s blood, especially if they’ve been diagnosed with something that transmits through blood. Even when wearing gloves and full body protection, the eyes are open membranes that, if exposed to infected blood, can spread the infection. This is why splash guarding safety glasses are so important for the medical community. The more protected you are from bloodborne pathogens, the better. Somewhere between intense light and flying particles are sparks. When they land, often they are nothing but in the air, each spark is a tiny glowing hot ember that could burn right through your skin without protective gear. Naturally, you don’t want these sparks getting into your eyes either as that would inevitably lead to terrible damage and a very high chance of blinding. Sparks can be produced through welding, grinding, and any incidental contact between two metal objects. Anytime you are working in a construction or manufacturing environment, there is a certain amount of risk for sparks so make sure you’re wearing heat-resistant safety glasses to keep your eyes away from those tiny burning particles. Finally, being able to see on the job is a must. Whether you’re working on the manufacturing floor or in a climate controlled lab, good eyesight is vital to being able to perform any skill-based job well. This means that if you wear glasses in an eye protection zone, you often find yourself wearing two sets of eyewear, your normal prescription and oversized safety glasses on top of them. At this point you are not only looking through two sets of lenses, you are also putting yourself at risk of the safety glasses slipping off at exactly the wrong moment. 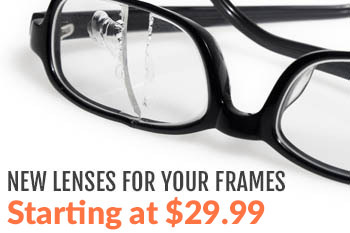 To fix this problem, simply order a pair of prescription safety glasses of the right size, shape, and design specifications for your workplace. This way, your safety glasses can protect you from bad eyesight as well as projectiles, chemicals, radiation, and pathogens.